It’s been a wild year for William Hill and things only look to be getting better. Earlier this year, William Hill severed ties with their longtime poker software provider Cryptologic to head for smoother sees with up and coming powerhouse Playtech. While the move shocked Cryptologic and has forced them to seek partnership with the likes of Party Gaming, William Hill is all smiles as they report revenue increases and expanded operations. Cryptologic on the other hand has begun talks with Party Gaming in an effort to soften the blow of their recent loss with William Hill. William Hill has reported a nine percent increase in profits for the last quarter and things are only looking better as they plan expanded casino and online poker operations with their new software partner Playtech. Founders of the Ipoker network, Playtech has quickly been recognized as a powerhouse in the online gaming software industry and their fast rise to the top in terms of online poker is evidence to their success. The Ipoker network and its supporting poker rooms are now consistently in the top two or three in terms of player traffic according to pokerscout.com. 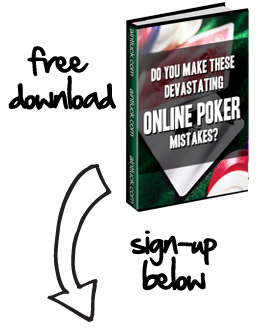 The networks success can probably be attributed to the highly successful Titan Poker that came out of the woodwork in 2005 and took the industry by storm with excellent customer service, great retention and of course innovative Playtech software. Cryptologic has been facing an uphill battle this year in terms of poker clients while their online casino software has done excellent for them. The loss of William Hill was definitely a significant blow however representing one of their largest poker clients. William Hill’s massive player base and popular online sportsbook and casino operations will obviously help to bolster Ipoker’s already fast and growing place in the industry.